Trey Galyon started his comedy career in Austin, TX in 2000. 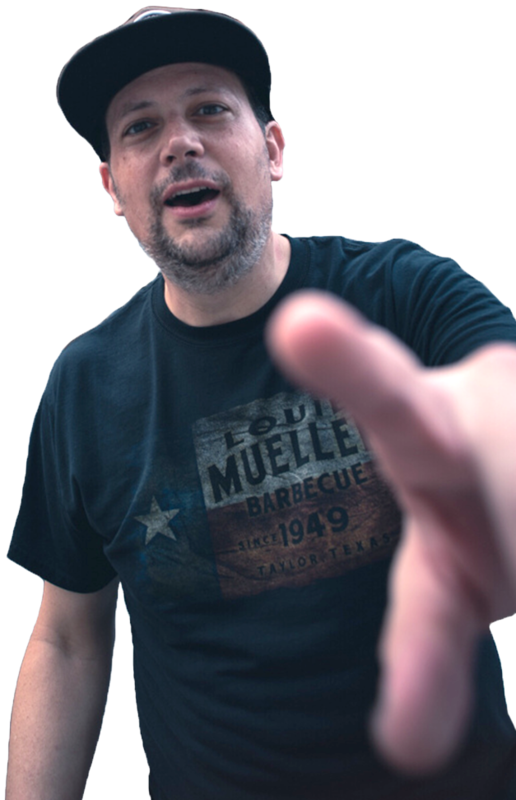 He quickly became a fixture on the Austin comedy scene working regularly at Cap City Comedy Club and The Velveeta Room. He was tapped to work with the likes of – Ron White, George Lopez, Greg Giraldo and Mitch Hedberg to name a few. He was asked to perform at Showtimes Latino Laff Festival 3 years in a row and was called an ‘Anti Hero of Comedy’ by the Austin Chronicle. He was a multiple finalist in the ‘Funniest Person in Austin’ Contest and began working comedy clubs all over the Midwest. Trey moved to NYC in 2008 because ‘Austin became unweird’ and has continued to maintain an underground following around the NYC comedy scene. His album ‘The Moronic?’ was released by Rooftop Records in May 2014 and he’s continued to spew his stoner logic all across the country. Go see him and be sure to say ‘high’ after the show.